Bhumi attended the Prime Minister’s meeting wearing a printed Ekaya floor-length anarkali. She looked nice. I like this so much better than Bollywood costume maker’s (who fancies himself a designer) suit that Alia has to wear to please her benefactor. It looks ok when the duppata covers the front portion. 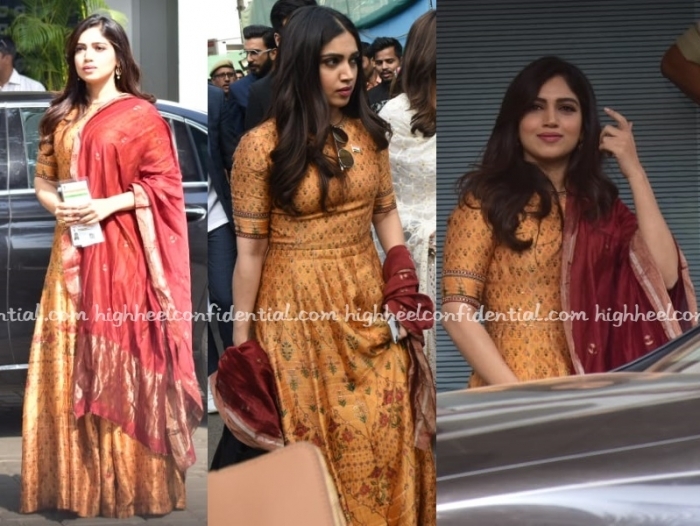 Otherwise its a poor fit for Bhumi, too tight on the sleeves and bust!